Cory N. Winn was born on April 13, 1966 in Weatherford, OK to Gladney Bert and Carol Jayne (Gooden) Winn. 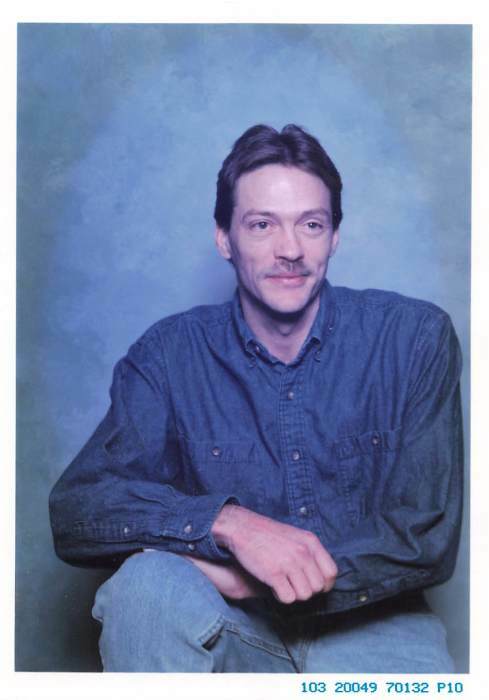 He passed away on April 13, 2019 in Watonga, OK at the age of 53. Cory graduated from Watonga High School and attended OSU in OKC. He lived in Dallas, TX, Berryville, AR, Grants, NM, Enid, Altus, and Tulsa, OK before moving back to Watonga, OK. Cory enjoyed photography and drawing. He worked as a cook and did landscaping. He was preceded in death by his grandparents, Thurmel and Ruby Gooden, and Malvin and Travis Winn, his uncles, Troy and John Gooden. Survivors Include: his parents, Bert and Carol Winn of Watonga, OK, his son, Derek Mock of Arkansas, his granddaughters, Ellie, Tessa, and Willow, his sisters, Julie Hay and husband Kirby of Leon, KS, and Valerie McSperitt and husband Keith of Lookeba, OK, 6 nieces and nephews, as well as other relatives and friends.